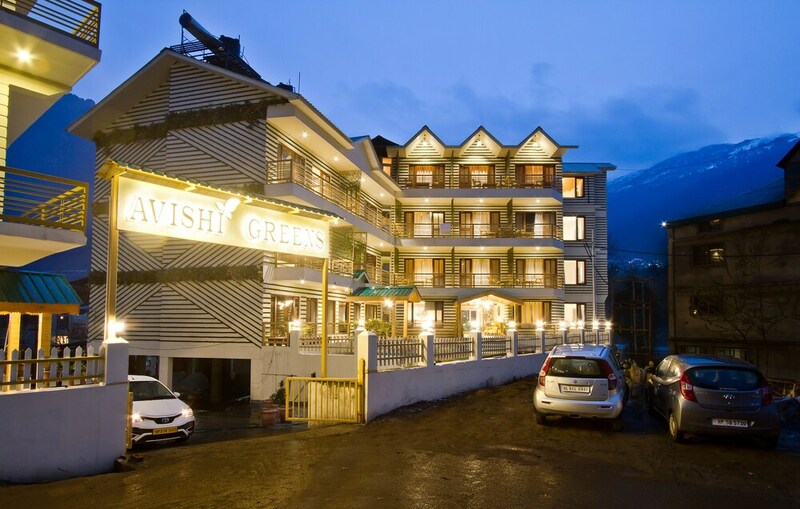 Situated in Manali, this hotel is within 1 mi (2 km) of Mall Road and Hadimba Devi Mandir. Tibetan Monastary and Hadimba Devi Temple are also within 3 mi (5 km). This smoke-free hotel features a restaurant, a fitness center, and dry cleaning. Free WiFi in public areas and free self parking are also provided. Other amenities include laundry facilities, a 24-hour front desk, and tour/ticket assistance. All 35 rooms offer free WiFi, balconies or patios, and flat-screen TVs with cable channels. Room service, coffee makers, and free bottled water are among the other amenities available to guests. The hotel offers a restaurant. Wireless Internet access is complimentary. For a surcharge, a roundtrip airport shuttle (available 24 hours) is offered to guests. This business-friendly hotel also offers a fitness center, tour/ticket assistance, and laundry facilities. Onsite self parking is complimentary. Hotel Avishi Greens is a smoke-free property. Hotel Avishi Greens has a restaurant on site. Start your morning with a buffet breakfast, available each day from 7:30 AM to 10:30 AM for a surcharge. Room service is available during limited hours. Rollaway/extra beds are available for INR 1350.0 per night. This property offers transfers from the airport (surcharges may apply). Guests must contact the property with arrival details before travel, using the contact information on the booking confirmation. Alcohol is not served at this property.